What would Edinson Cavani bring to Chelsea? With Olivier Giroud’s recent injury woes and Alvaro Morata’s inability to finish clear cut chances, Maurizio Sarri has understandably grown frustrated. MISSING: Morata has struggled since joining Chelsea from Real Madrid. After signing Christian Pulisic, Chelsea aren’t slowing down. They’re looking for a proven goal scorer able to turn up week in week out and work tirelessly for the team. Step forward Edinson Cavani. The Uruguayan has constantly been linked with moves to the Premier League after dominating both Serie A and Ligue 1 for nearly a decade. His ridiculous track record for putting the ball into the back of the net has interested The Blues, who are reportedly willing to part with £50 million for the 31 year old. 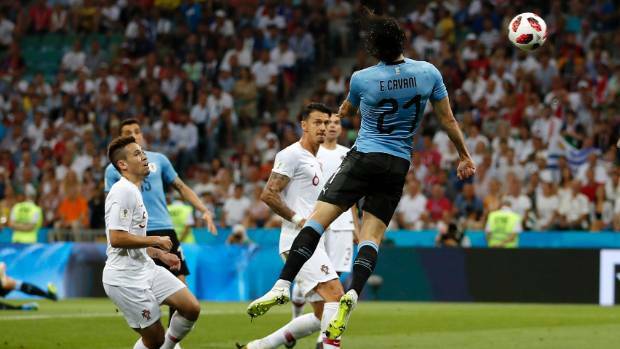 After bursting on the scene in his native Uruguay with Danubio, Cavani earned a move to Italy with Palermo where he established himself as a composed finisher in front of goal. WORLD CLASS: Cavani was devastating in Serie A in all 3 of his seasons. He was subsequently rewarded with a switch to Napoli where he formed a devastating attack alongside Marek Hamsik and Ezequiel Lavezzi. Three 30+ goal scoring seasons, including 38 in 2012, speaks for itself really. Cavani was now one of Europe’s most lethal strikers and was linked with Europe’s top clubs, including Chelsea, Manchester City and PSG. He ended up joining the latter for a staggering €64 million. LEGEND: The Uruguayan is PSG’s all time top goal scorer. Les Parisiens (well, the last bit’s not hard to be honest…) Neymar and Kylian Mbappé tend to dominant French headlines, yet Cavani is hardly a weak link, netting over 40 goals in his last two seasons. The 31 year old is an industrious forward, able to be deployed centrally or on either wing and covers incredible distance during 90 minutes, whilst also managing to have an elegance about everything he does. From scoring tap ins to long range belters, his goal scoring portfolio is unmatched. Cavani makes intelligent runs into the box and with his ability to hold up the ball, can receive all sorts of passes without difficulty. His prowess in the air is also unmatched, as shown by his thumping header against Portugal in the World Cup. He’s also an excellent free kick taker which is always a bonus. Cavani is what many would describe as the perfect striker. Pace, strength, intelligence, goals, his skill set is unique and his track record speaks for itself. £50 million for a 31 year old seems like overpaying but for a world class striker in today’s market, it could work out to be a stellar signing. MAKE SURE TO FOLLOW US ON TWITTER (tasteofftbl) FOR TRANSFER MORE INFO!